Raul Ibanez hit a foul ball in today's Angels-Indians game. That's not odd. The odd part is that no one found it. 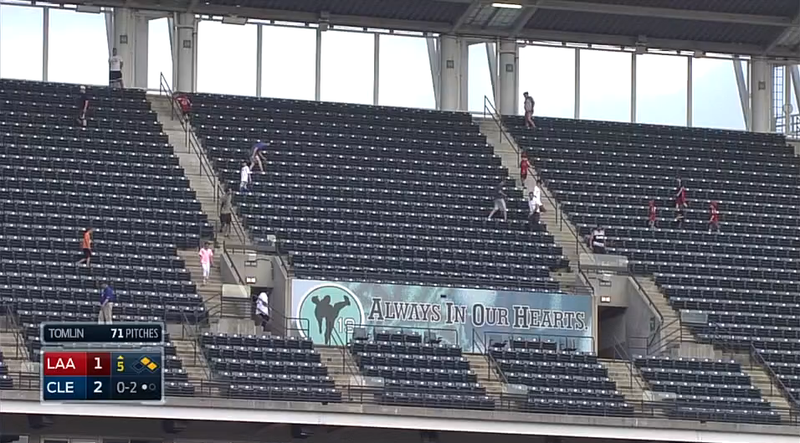 Ibanez's foul ball went into the empty upper deck of Progressive Field. One fan ran up to try and get it. He did not. More people walked up to comb the sections. Their efforts were fruitless. There is no happy ending to this video. No one found Raul Ibanez's foul ball. Werner Herzog should narrate this scene. Others join ze young boy in his zearch for ze ball. Ze expanded zearch party does not help. It is un exercise in futility.